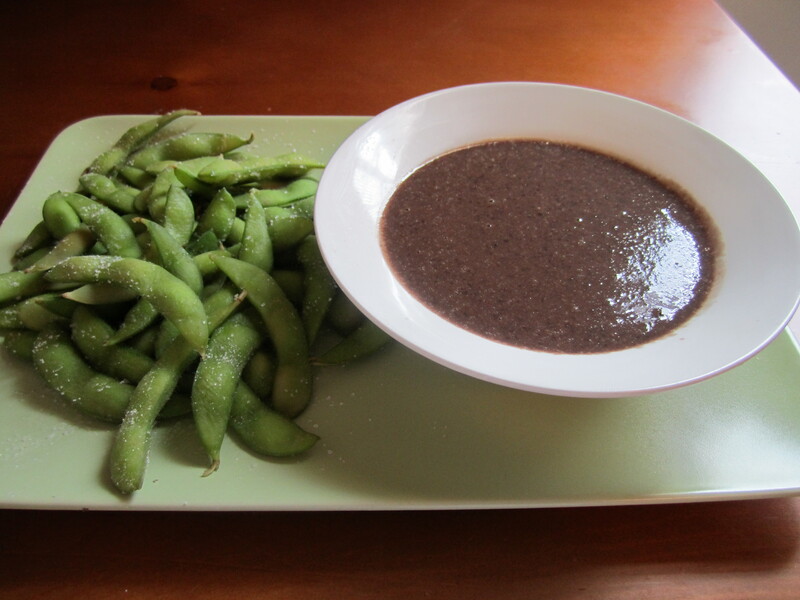 Edamame with Spicy Black Bean Sauce - Eat. Drink. Love. I had never tried edamame until my oldest granddaughter told me they were her “favoritest” thing in the whole world next to black beans (she was 4 when she told me this!). So of course I must try this as I, too, love black beans! Thanks for the recipe! Oh how different, I am trying to imagine the combo. I love edamame and I love black beans – so I’m betting I would love this. Thanks for sharing this cool recipe! I love black beans and this sauce looks amazing. This could be paired with many things on an appetizer plate-edamame is just the start. Great post! I have never tried edamame before. I want to, but haven’t ever had the opportunity. This looks like a great combo! This sauce sounds so good! I love black beans, they make a great dip too! Delicious Stephanie! Sign me up for anything with black bean sauce! Looks so good I could bathe in it!